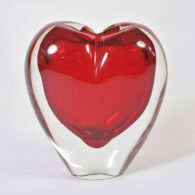 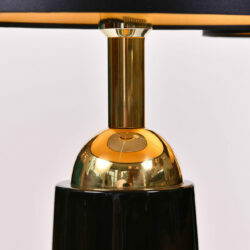 45cm high (lamp only) x 15cm max diam. 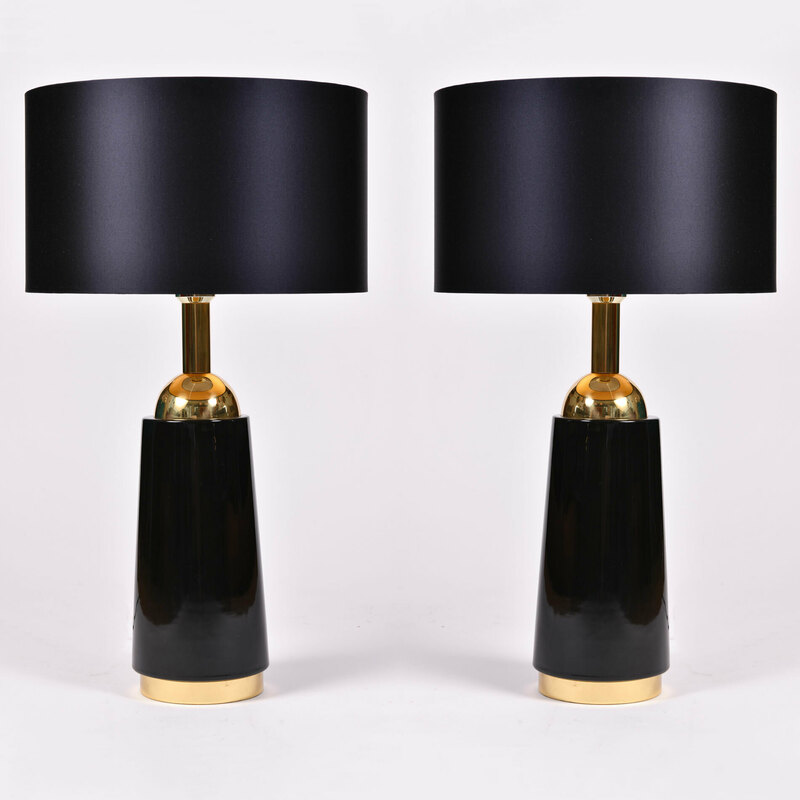 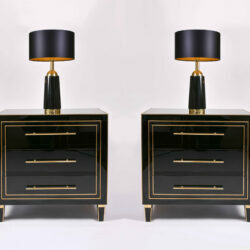 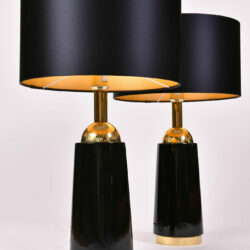 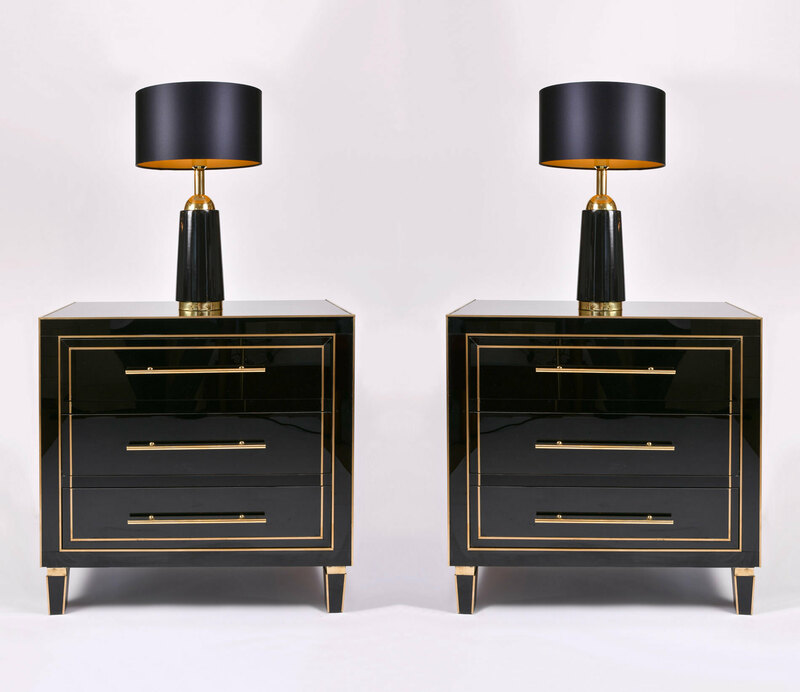 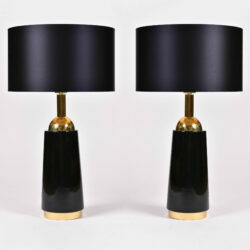 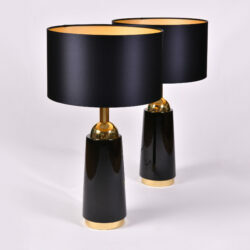 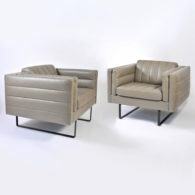 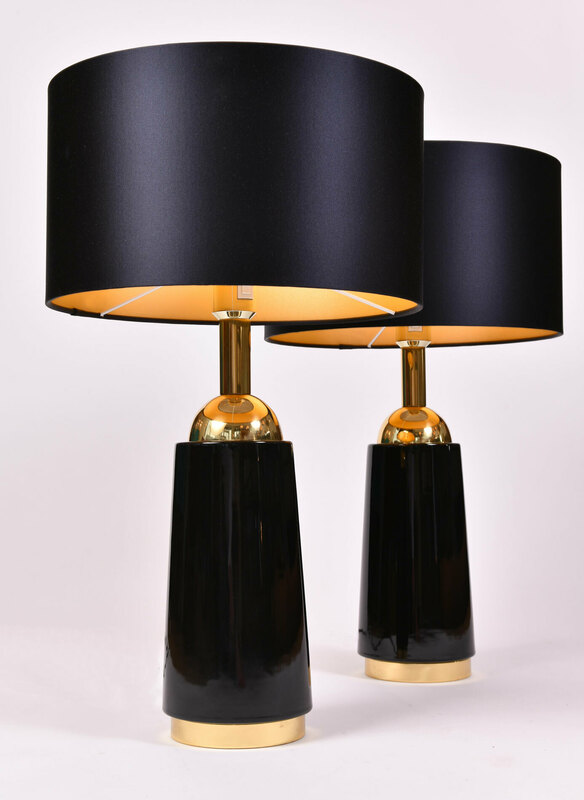 Elegant pair of Bergboms table lamps. 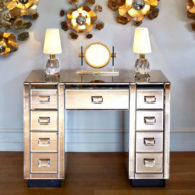 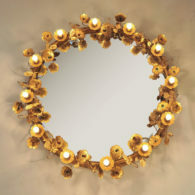 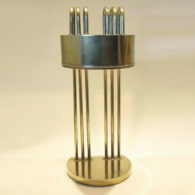 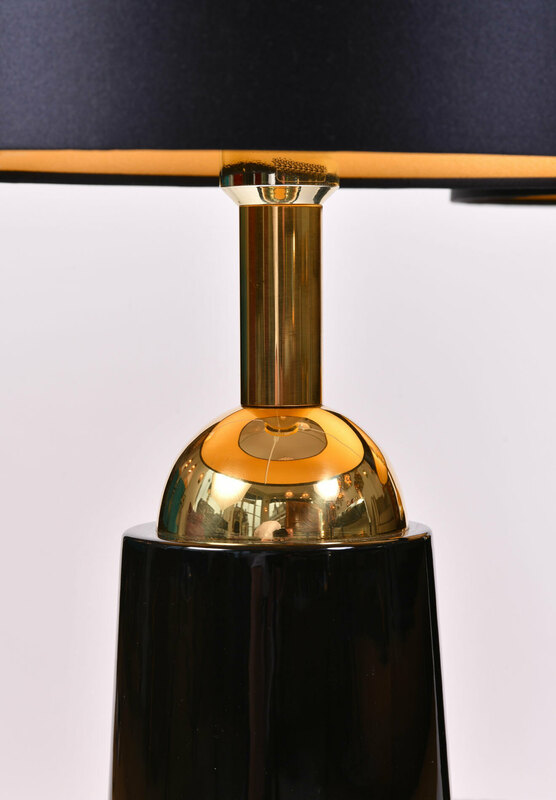 Simple black glass base is trimmed with inset brass base and curved brass top and fitting.